Cairns is situated on tropical Queensland’s far north coast. It is one of Australia’s most remarkable locations for a holiday. Explore some of the most amazing natural attractions, including the Great Barrier Reef and the World Heritage Daintree Rainforest. Cairns offers an unlimited range of things to see and discover. The lively and vivacious city of Cairns can be explored with ease, has great weather, a low cost of living and friendly residents, making Cairns a holiday destination second to none! 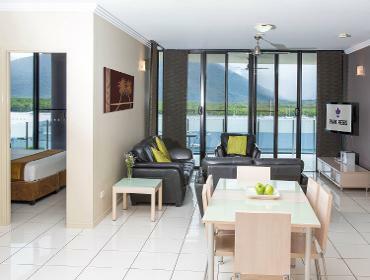 Cairns is the perfect base for exploring the wondrous attractions of Tropical North Queensland.